It has become customary for me to make rather dramatic posts completely unrelated to alcohol around this time of year. Last year, it was about the earthquake and Fukushima disaster and the birth of my younger son, Dan, amid that chaos. Unfortunately, Dan has just suffered a heart attack and is in a very serious condition in intensive care. I share that information because I don't think it is going to be feasible for me to be very active on Nonjatta for the next month or so. 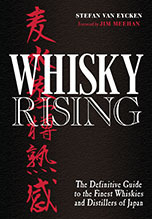 About 5 years of work, not just by me but my many others, have gone into this site and it has become the most detailed source on the English Internet for information about Japanese Whisky. As I have said so many times that it has become boring, Nonjatta has always been a team effort and the door has always been open to anybody who is interested in spreading the word about Japanese whisky to join the team. Although I must admit right now to having half a mind to chucking it all in, I do feel I should try to maintain it, but I am going to need a lot of help in the short term. I am going to be asking regular contributors to temporarily take posting privileges that would allow them to post independently of my (up to now very loose) editorship and keep the site going. I appeal to anyone else who has quality content to offer to work with them. Chris - I am so sorry to hear this news. My heart and hopes go out to you, your son and your family. I wish for your son a very speedy recovery. My best wishes for a speedy recovery for Dan. I wish Dan a speedy return to full health, and strength for his family while helping him through it. 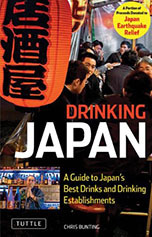 i have been a quiet reader of your blog for sometimes, u have really open up my eyes on Japanese whiskies. Its always the right to put family first, best wishes for your son and your family. My best wishes and prayers for Dan. I hope he makes a speedy recovery. Hi Chris, best wishes from Singapore hoping that your boy makes a swift and full recovery. Your site has been an invaluable resource to many and we're all hoping that things go back to normal for your family soon.